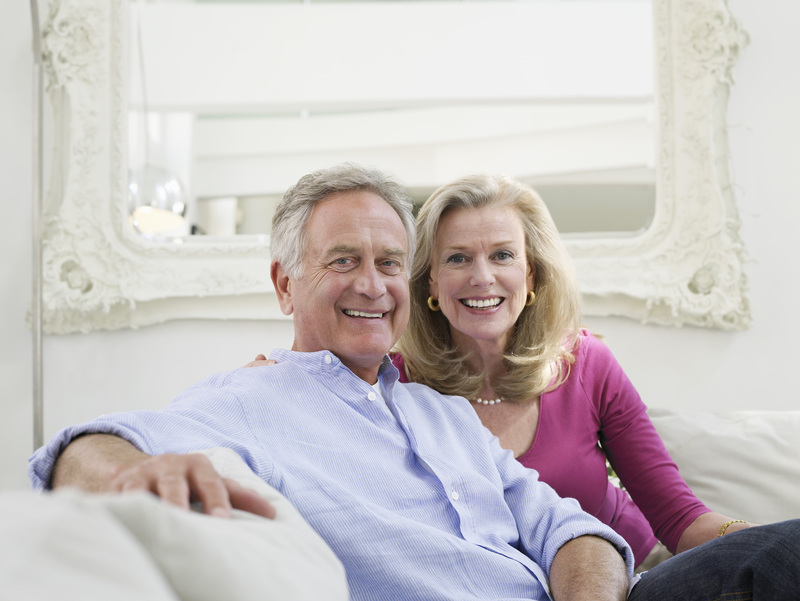 Other buyer categories include married couples without children, empty nesters looking to downsize or right size as well as unmarried individuals looking to settle down and have a place to call their own. These individuals looking to buy a home are not confined by start of school considerations and instead want to buy a home when they need it. So by having your home on the market during the holidays you will get serious buyers who are ready to buy now as part of your buying audience. As noted above there are still many buyers looking to buy a home all throughout the year. Many home sellers are on the fence and usually don’t list for sale during the holidays which means you have an advantage if your home is listed for sale. Home buyers having to work with fewer homes for sale will be making a decision based on the homes that are on the market. So it makes sense to take advantage of a time when buyers are more serious and inventory is low to get your home sold. In November and December 2015 there were 2,849 houses that sold in and around the Greater Cincinnati area (Includes Hamilton and Clermont counties in Ohio and Boone, Campbell and Kenton counties in Kentucky). Compared to the peak months of April and May 2016 where 3,953 homes sold in and around the Greater Cincinnati area this represents only an 28% difference in terms of houses sold between the peak and the supposedly slower months of November and December. Homes sell year around and in substantial quantity so to sit on the sidelines because of the holidays means you may be wasting valuable time. While it is inconvenient to have showings during the holidays this does not mean you should be overly restrictive when it comes to showing your home to prospective buyers. Certainly preventing showings on the actual holiday themselves is reasonable and you are unlikely to get visitors wanting to tour your home during the actual holiday and there are other steps you can take to ensure buyers get access to your home for the most part. 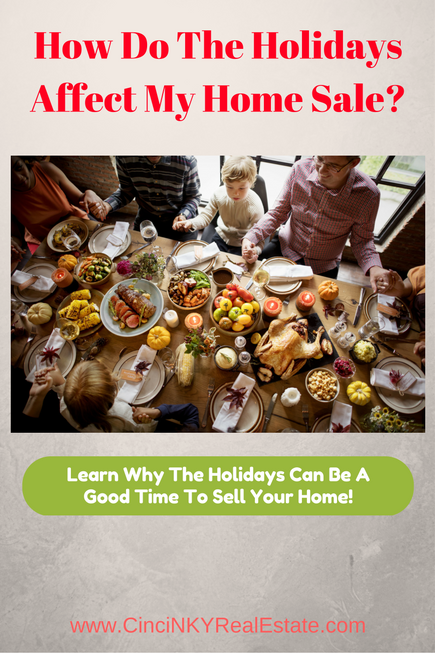 If you are the one who normally hosts big holiday gatherings with family and friends visiting from out of town you may want to reconsider doing this type of event while your home is on the market. Not only do these large gatherings prevent home showings if you have overnight guests but they also can require you to do a large reset of your home in order to get it back into showing condition after all the guests have gone. The last thing you need is to prevent buyers from coming into your home or from seeing your home in disarray due to a large number of visitors. So instead hold large gatherings at another family member’s home or just postpone it for this time while your home is on the market. When selling your home during the holidays it is good to take advantage of the holiday season when it comes to home staging. By making your home more festive, warm and inviting to buyers you will encourage buyers to fall in love with your home and to take the next step of making an offer. 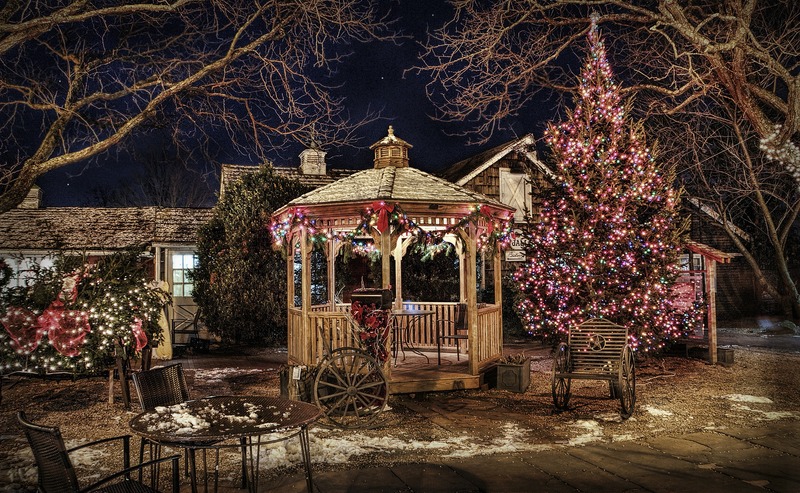 All your holiday decorations should be neutral in general in order to give the best impressions to buyers. Be careful not to go overboard on decorations where the decorations instead become distracting to buyers rather than creating a festive mood. While holiday scents may be in style be careful with using too many different or too strong scents. For some buyers the scents may come off as a way of trying to mask a house that does not smell nice normally and to others with sensitivity to the scents they may be totally turned off by the smell. Natural scents from pine trees, wreathes, and more are generally ok and can add to the home’s charm. As the holiday changes from Thanksgiving to Hanukah, Kwanza or Christmas unless your décor can pass for the different holidays it is best to transition the decorations. What this basically means is that once a week or two has passed after a particular holiday the decorations should be updated for the new holiday or taken down when the holiday season has passed. Old and out of sync holiday decorations make buyers wonder about what else are the sellers slow in working on and do not convey a good impression. The holidays also mean it is colder outside and therefore you want to keep it nice and warm inside for when buyers come through. If you have a fireplace and enough time getting the fireplace started so your home feels warm and inviting to buyers then make sure to start it up. A lit fireplace adds to the overall charm of your home and keeps things warm which buyers will appreciate. Don’t skimp on the heat from the HVAC either, since if buyers come into your home from the cold and still feel cold while inside this will not leave with a good impression. You want your home to be the most memorable and inviting for buyers so when it comes time for a second visit or to make an offer yours is on top of the list. Prior to having pictures taken of your home for purposes of the sale make sure the décor is neutral and not holiday oriented. While if priced properly your home should sell in short time, in the event it does you do not want pictures of your home showing Thanksgiving or Christmas decorations when it is now getting close to spring. Pictures with holiday décor will show how dated your home sale is as the holidays pass. So all pictures should be taken without holiday décor present and once the pictures have been taken you can decorate your home to the styles of the current holiday. While there are fewer buyers out looking to buy a home during the holiday season that does not mean home sales stop. In fact there are plenty of serious buyers out there looking to buy a home all times of the year. By properly preparing your home and ensuring buyers are able to see it when they want your home can sell during the holiday season. About the author: The above article “How Do The Holidays Affect My Home Sale?” was provided by Paul Sian. Paul can be reached at paul@CinciNKYRealEstate.com or by phone at 513-560-8002. If you’re thinking of selling or buying your investment or commercial business property I would love to share my marketing knowledge and expertise to help you. Contact me today!